years. 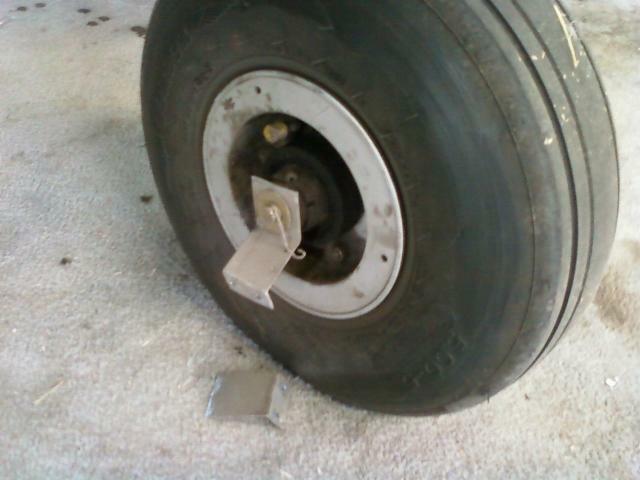 Clearly, they didn't fit very well. 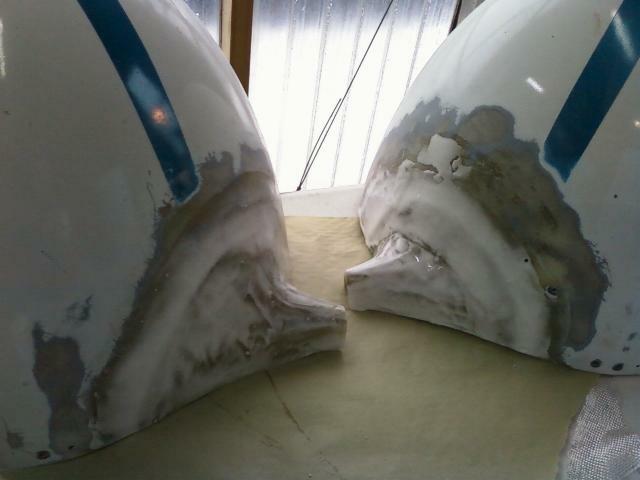 The lower fairings had to be extended 1 1/2". 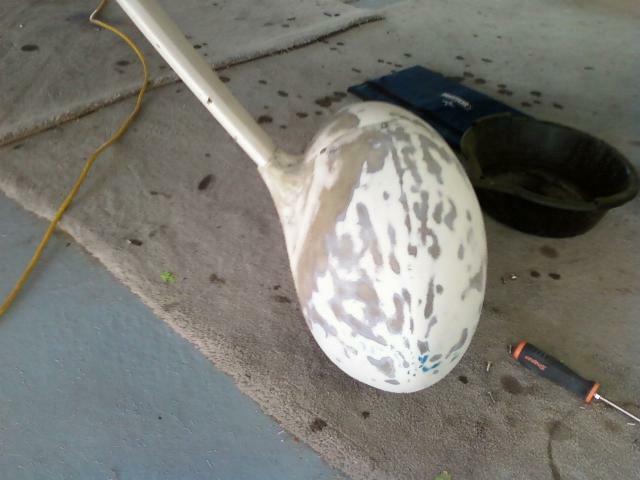 Removed the wheel fairing to find a broken mount... again. Time to do something different here. 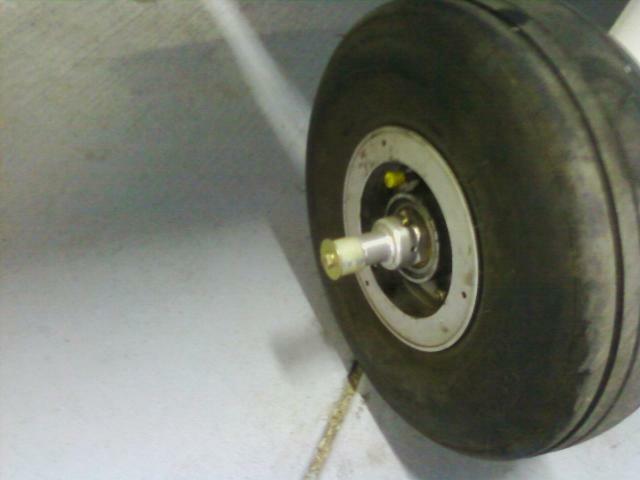 I'm thinking this is going to work a bit better. 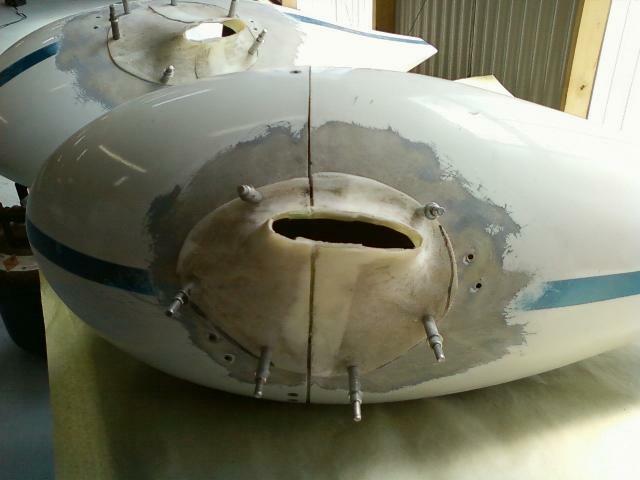 April 3 - New plan for the fairings. 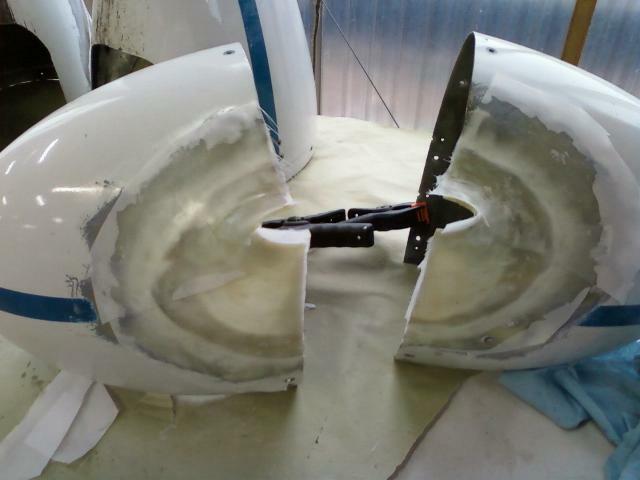 Scrap the upper fairings as they aren't going to do much for the plane. 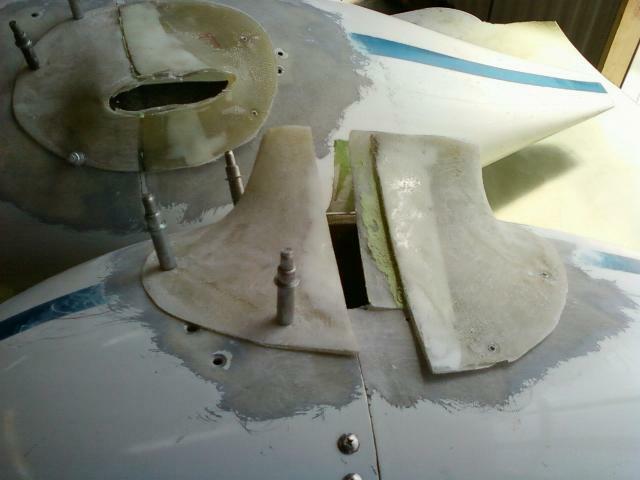 Rebuild the lower fairings to fit. 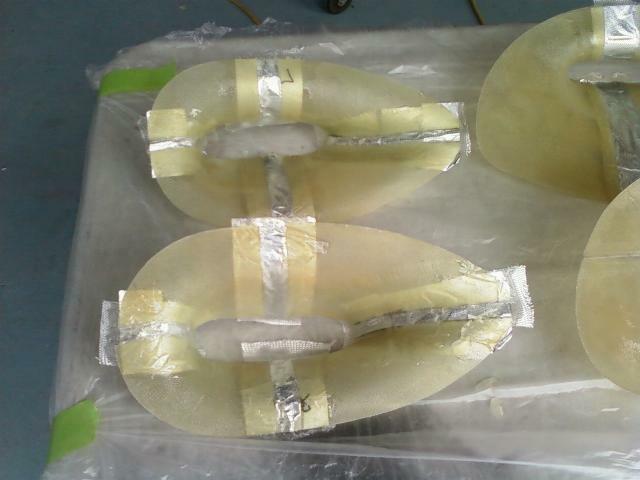 Here you can see I have the pieces of the fairings attached with Clecos. 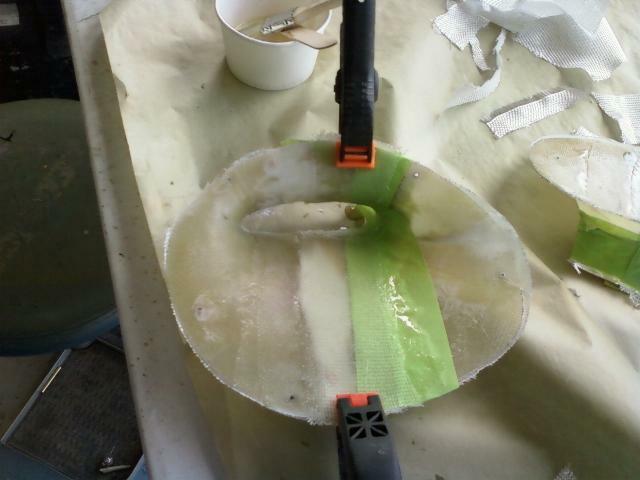 Added a very dry micro slurry to build up the low spots and fill the voids created when I cut them up. 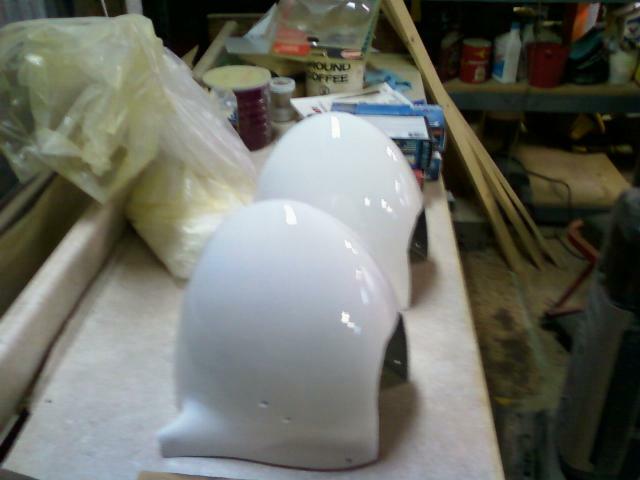 April 4 - Sanded the fairings, then laminated with two layers of BID glass. 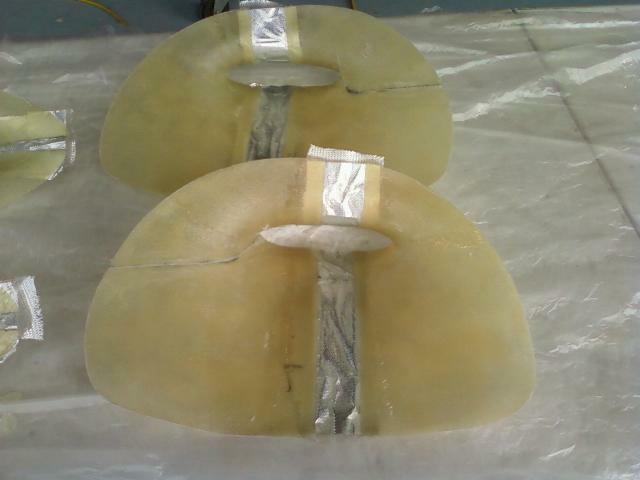 a putty knife under the tape and pull the halves apart creating a joggle for fitting these parts together. 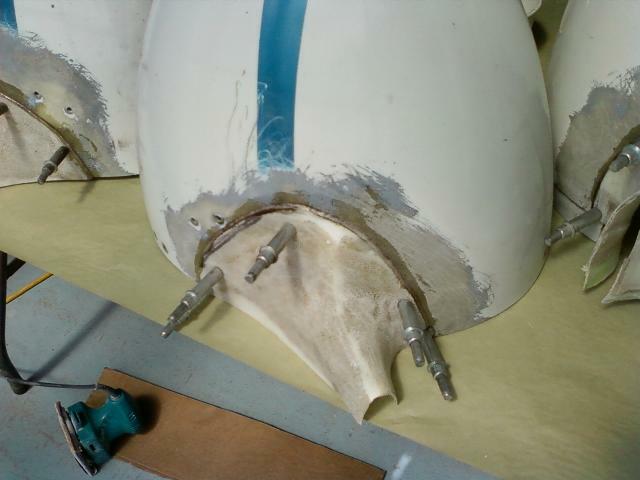 April 7 - After an overnight cure, I pried the pieces apart, then trimmed the joggles back to where it all fits. 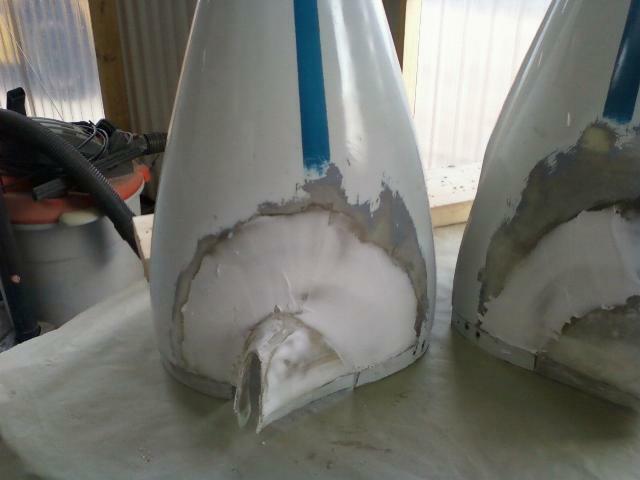 April 7 - Fairing halves bonded to the wheel pants using milled fibers and West Epoxy. 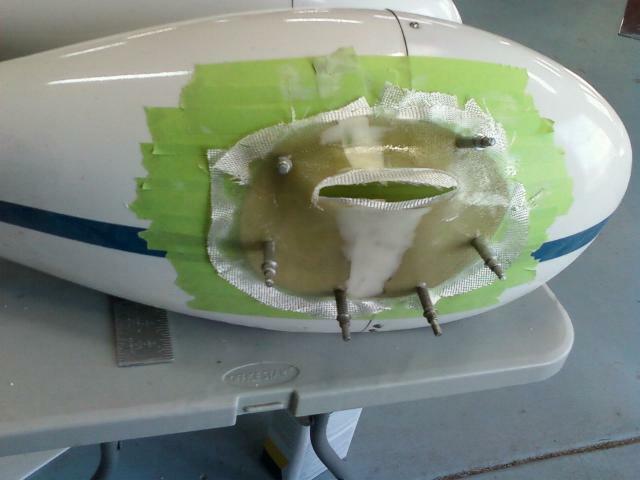 April 8 - Sanded and filled the edges of the fairings, then filled with micro and one more layup of glass and peel ply. 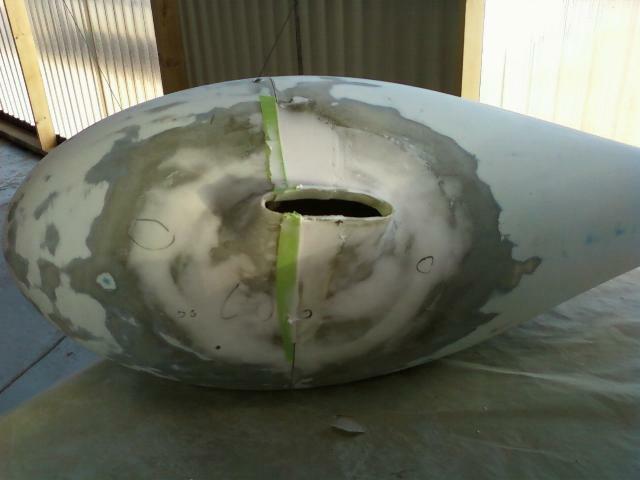 April 9 - Pulled the peel ply, sanded and applied more micro. 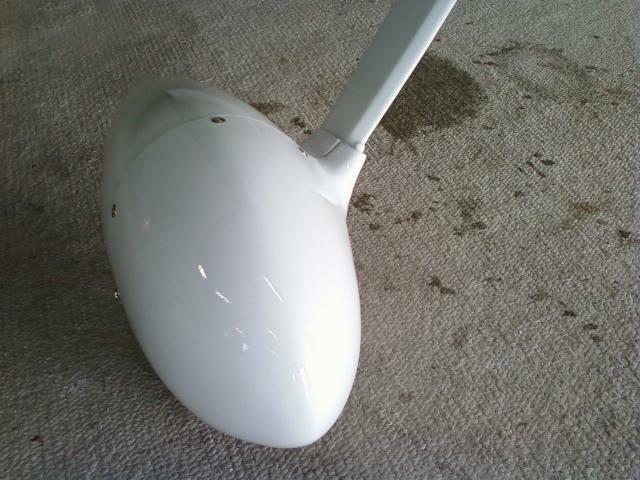 with some 40 grit paper and started over with the micro. 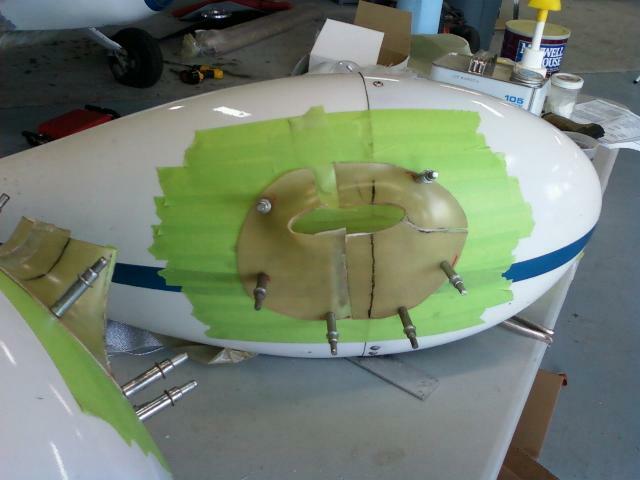 April 16 - Some final filler to properly align the two halves of the wheel pants. Kind of looks like leaving your socks sticking up out of your shoes. 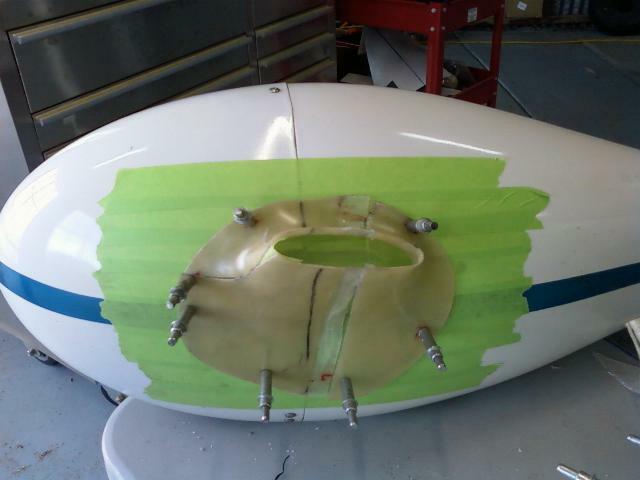 April 20 - Test fitting the wheel fairings with the intersection fairings added to them. I'm really happy with this. 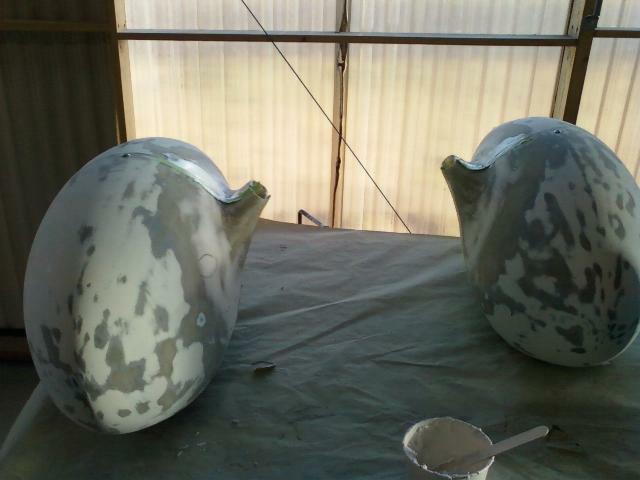 The other side fits just as well, so these are now ready for primer and paint. 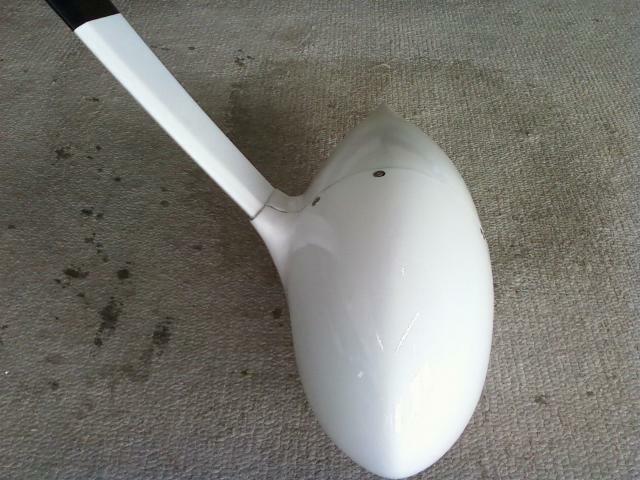 May 1 - Wheel fairings and intersection fairings painted white. 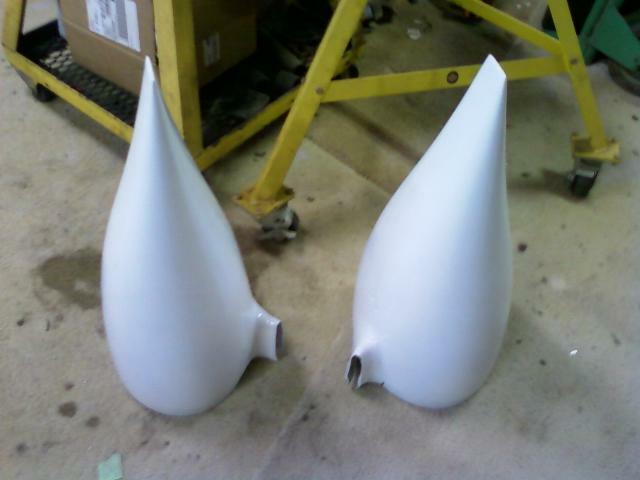 May 4, 2013 - Intersection fairings finished. 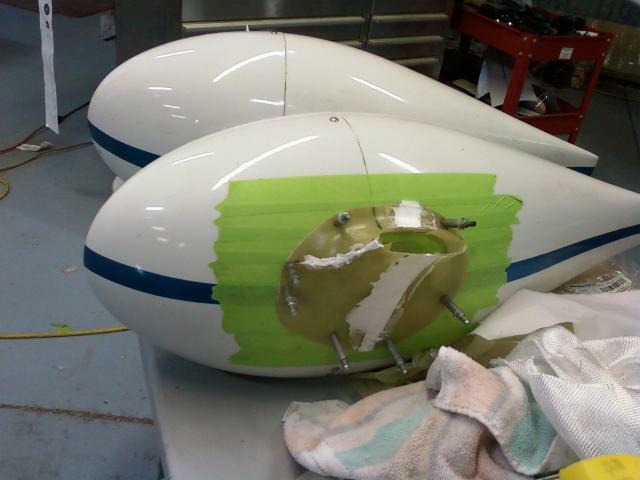 Wheel fairings (and plane) are still waiting for the graphics.